**BACK ON THE MARKET. Freshly painted! 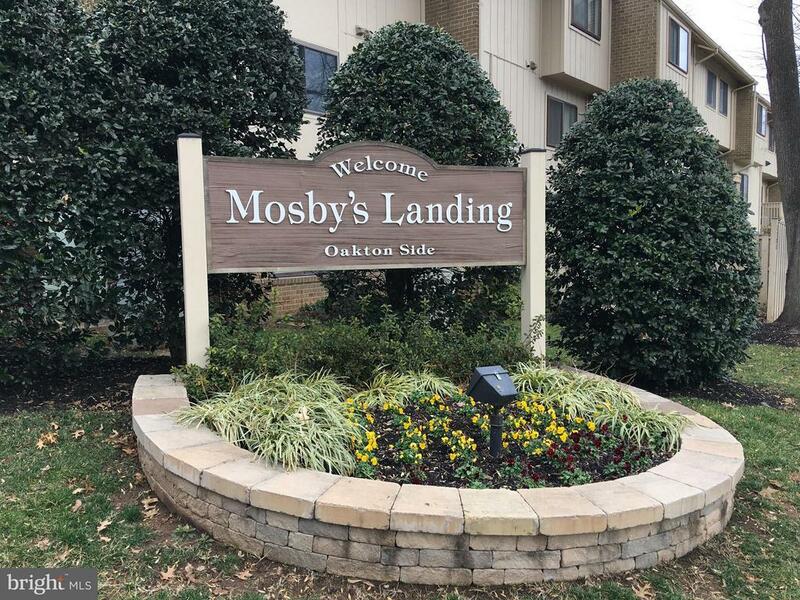 Welcome home to this two level updated condo in Mosbys Landing between Vienna and Oakton. Upper two levels - Lee floorplan with fireplace in the living room on the main level with cordless blinds conveyed. Three bedrooms and front load washer/dryer on the second level. Updated engineered wood flooring throughout; new HVAC, water heater. Recent kitchen renovation, baths upgraded vanities and shower tile. Service agreement on HVAC and electrical conveys. Mosbys Landing, which backs to Madison High School, offers playgrounds, lots of green space, dog stations and a community pool in the summer. Easy access to 66 and Vienna/Oakton. Great for both home buyers and also opportunity for buy & hold investors. Directions: From 123/Maple Ave headed west from Vienna to Oakton - Right turn onto Glengyle, immediate left to 2nd (Oakton) entrance. Park near dumpster 3 in any unnumbered spot.